Canon Creative Park has a new "beginner series" of architecture papercraft. Each of the models is small enough to fit in the palm of your hand. Four of the 23 models available are pictured. From the upper left going clockwise are the Colosseum (Rome), St. 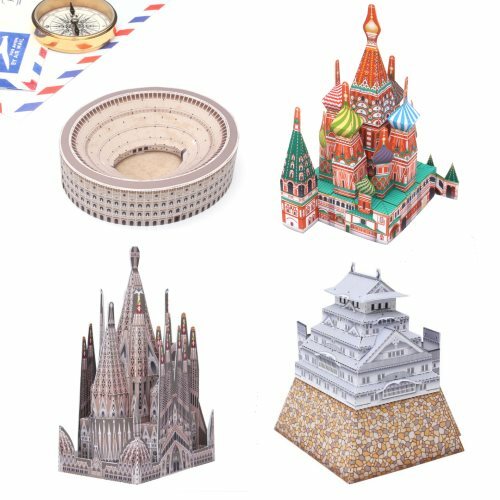 Basil's Cathedral (Moscow), Himeji Castle, (Japan), and Sangrada Famila (Barcelona). Downloads of the templates for the models are available here.